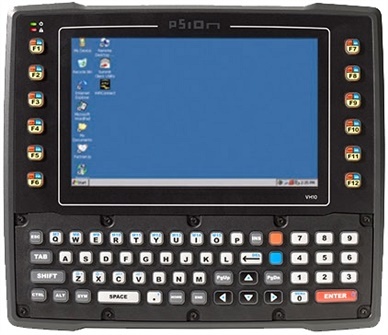 The Thor VM1, Honeywell’s tenth generation of vehicle mount computer, brings unprecedented flexibility and breakthroughs in supply chain productivity. 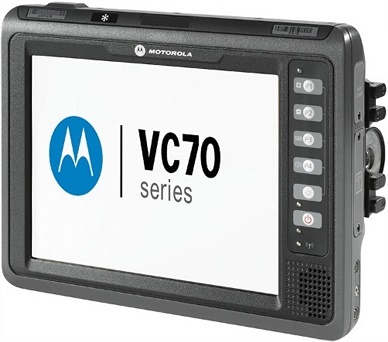 The Thor VM1 is a rugged VMC which gives the power of a desktop computer in a vehicle mount unit, allowing wireless data connectivity from a forklift truck or any properly configured vehicle. 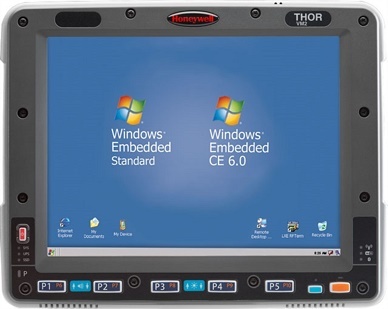 Combining a 1.6 GHz Atom Z530 processor, WWAN, WLAN and Bluetooth® connectivity with a Microsoft® Windows CE 6.0 or Windows® Embedded Standard Operating System, the Thor VM1 also features three new productivity-boosting innovations. Contact Dematic Real Time Logistics today for a demonstration, and find out how the innovations of the Honeywell Thor VM1 dramatically increase productivity in your workplace, even in the most challenging environments. 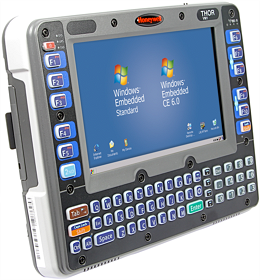 The Zebra VC80 vehicle-mounted computer features full Windows support in a super rugged design built for the toughest environments, plus fast wireless connections keep workers connected. 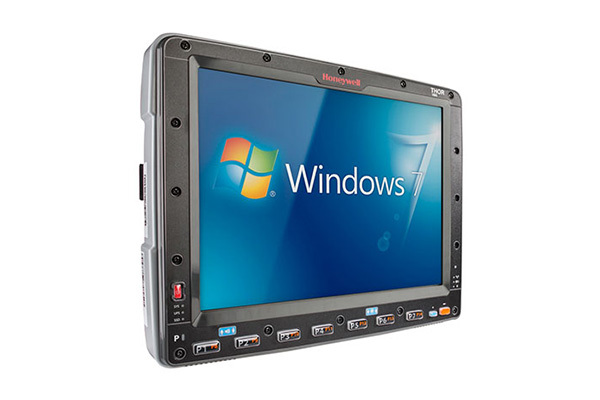 Designed for the toughest distribution centre environments, manufacturing facilities and freight operations, the Thor VM3 from Honeywell combines versatility with breakthrough innovations, and a 31 cm touch-enabled display screen. 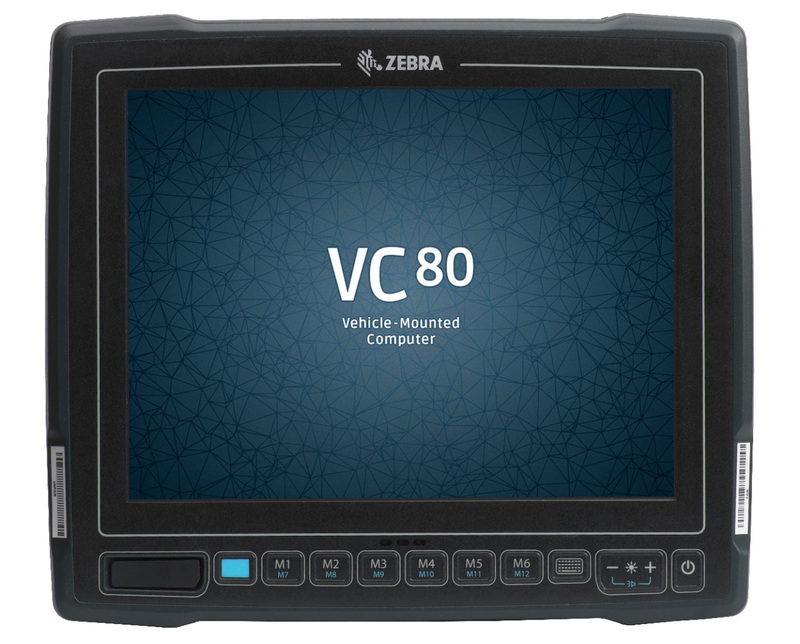 The VH10 vehicle mount computer from Zebra is built to provide the real-time information you need for productive and impressive fulfilment in the most demanding environments – in warehouse aisles, out in the yard, or in a freezer. The Zebra VC70N0 vehicle mount computer improves productivity and task accuracy from receiving to shipping, and gives the flexibility needed to maximise efficiency. 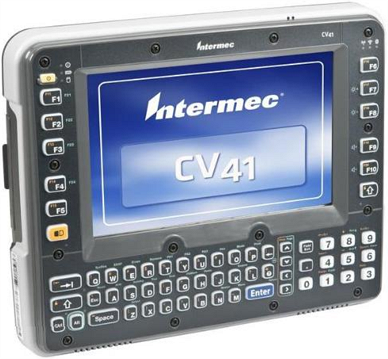 The Intermec CV41 is the world’s first vehicle mount computer with integrated Vocollect Voice support. Building on the best-in-class Thor VM1, the Honeywell Thor VM2 vehicle mount computer grants even greater flexibility and immediate time savings, and continues to provide breakthroughs in supply chain productivity.